Leading Exporter of thermal paper from Mumbai. 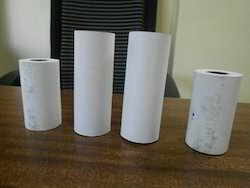 We are presenting a wide array of optimum quality Thermal Paper to our customers at reasonable rates. Globally applauded and demanded owing to their superior quality, we assure that only top-notch basic material is used in their fabrication. Additionally, to meet the differentiated necessities of our customers in a precise manner, we offer customization facility for their packing to attain huge customer support and credibility.